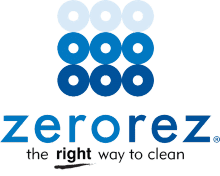 $20 Discount on Cleaning Services with ZEROREZ's revolutionary cleaning system leaves zero residue behind; therefore it's not only environmentally safe but ZEROREZ will extract soil, kill soil and leave your carpets and total living are clean. ZEROREZ provides full service cleaning with carpet, tile and grout, upholstery, area rugs, and NADCA-Certified air duct cleaning. 30-day Gotta Love It™ guarantee.